Greater Manchester Magistrates' Court heard how, on November 19 2015, Barrie Lyons, a trained asbestos analyst with 29 years of experience, was contracted to carry out the final inspection and air testing, following removal work at a city centre site. 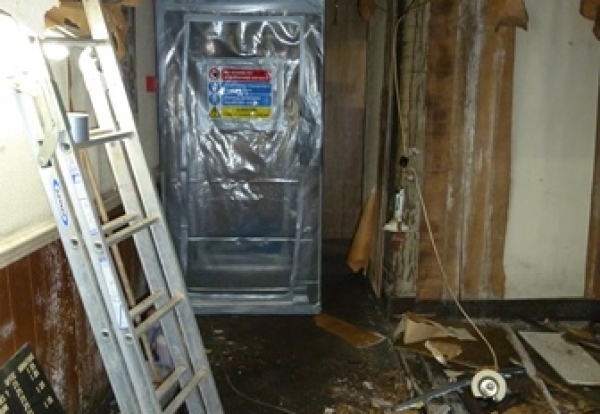 Lyons' task included a thorough examination of the area where asbestos had been removed. He also had a series of air samples to collect and evaluate to ensure that the environment was substantially free of asbestos. HSE inspector Matthew Greenly said after the hearing: "Asbestos analysts play a vital role in ensuring that areas are safe to enter after asbestos is removed. "Mr Lyons sadly chose on this occasion to falsify his records which was a massive abuse of the trust placed in him by the client. "This deliberate act increased the risk of numerous people potentially being exposed to asbestos, a risk Mr Lyons would be very well aware of from his experience, all to save a little time and finish the job early.